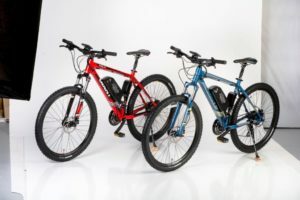 We now offer what we believe are the best Electric Trikes out there today. 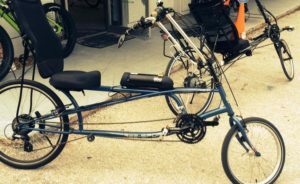 Built on a Schwinn Meridian Frame (26″ or 24″), our E-trikes boast a 36/12 battery, 5 speeds of Pedal Assist with Throttle override. 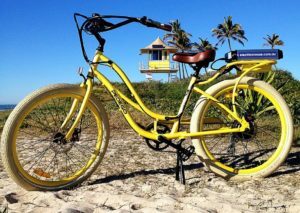 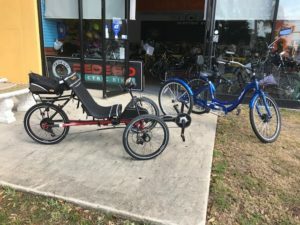 We can also provide your own trike with the same professionally installed system as well..but we love the Schwinn Meridian frame for looks, choice of colors and most of all, stability. 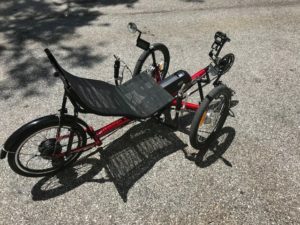 DO NOT order an E-trike online! 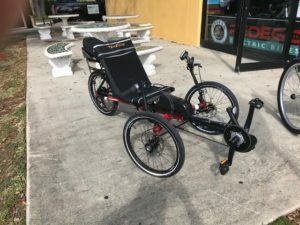 From past experience, we have found that there is no company that offers any support or in some cases even real contact info for E-trikes anywhere. 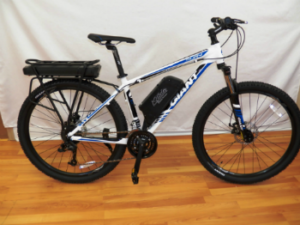 Let your local company take care of you from purchase to service. 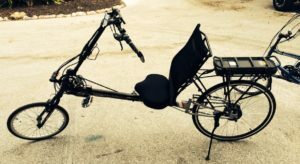 And we love doing recumbent conversions; Below see our Sun Recumbent Conversions, Magnum Green recumbent conversions and the Terra Trike Traveler recumbent with the middrive conversion..we do it all. 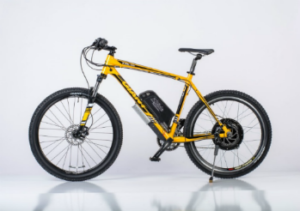 This is the Super Lite, weighing only 48 lbs and capable of going 30 miles at 24 mph, this one was configured with 2 batteries, doubling the distance to over 60 mph. 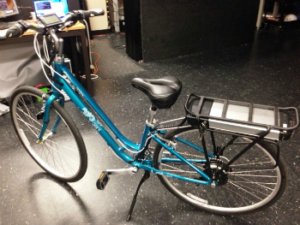 Pedal assist & throttle.